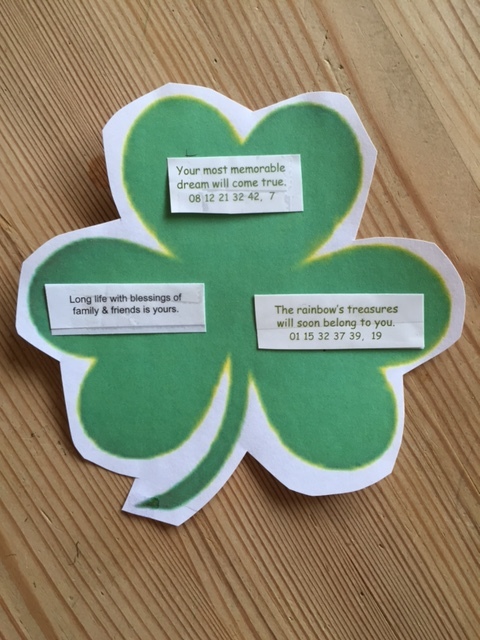 How much does luck play a part in our lives? Are some of us luckier overall than others? Genetics – makes the difference between whether we’re human beings, butterflies or peaches. Environment – consider the difference between being raised in a leafy American suburb and in downtown Calcutta. Luck – includes everything from the Industrial Revolution to war – the actions of all the other human beings in the world. Self-determination – we can influence far more in our lives than many people think, but far less than the rest of them wish. This particular column is about 15-20 years old, but something about it resonated with me and made me tear it out and paste it in one of my many idea notebooks. It makes sense to my analytical mind and practical, Scottish nature. And it still appeals to me as a way of understanding how and why we are, a general framework, although hopefully non-binding and allowing for embellishments, clarifications and individual variations. Most of us don’t really think about Numbers 1 and 2. Those are givens we often take for granted, especially if they are good. Yes, I am a human being and I live in Southern California. But there are days I would rather be a tree, reaching for the sky and nesting birds and dropping leaves. Or for sure one of my cats lolling in the sun. But no, I am a human and I have to trim that tree if it is mine and pick up its leaves – and stuff my cats in cat carriers and take them to the vet and fork over about $300. And earn the money to pay for that. I was born in Montreal but when I was 12 my parents moved to the beach area of Los Angeles. If we had stayed in Montreal, how would that altered my life? Would I have the same love of the ocean, of casual living, of lack of pretension? Would I have less sunshine wrinkles? More or less meaningful relationships? I realize that the first two influences vos Savant listed – genetics and environment – have been mostly positive for me. Yes, I sometimes wish I were taller than 5 feet 3 inches, more athletic and outgoing. I joke with people that in my next life I plan to be bitchier, with the brain of Einstein (or vos Savant) and the body of a Las Vegas showgirl. But I am so grateful to be mostly healthy, especially as I slip into the “elderly” category. Ooops, no slipping, more like gliding … And I’m also grateful to have landed in a part of the world with beautiful beaches, bays and canyons and a moderate climate, geographically, politically and socially. And with the exception of a few lost pathways, I have been. I have always been determined and independent and that keeps me going even in dark, bramble-filled times. I realize that I cannot claim full credit, since genetics, environment and luck have all influenced me. I also realize, as Marilyn wisely says, that I could influence more in my life, but not everything. As in the serenity prayer, we dance between what we should accept and what we can change and hope for the wisdom to discern the difference. I like this kinder, more complete way of looking and the world and ourselves, but of course it doesn’t let us off the hook completely. Self-determination may rank last according to one smart woman’s list, but it is still up to us to make the best of what we inherited, where we landed and whatever luck comes our way.